Shomrei Adamah's Rabbi Ellen Bernstein shares her writings, including the critically acclaimed Let the Earth Teach You Torah, Ecology and the Jewish Spirit, The Splendor of Creation: A Biblical Ecology, and her Tu B'Sh'vat haggadah/seder, A New Year for the Trees, in addition to articles about Care for Creation, Sustainability, Nature and Spirituality. Also find testimonials from Thomas Berry, Joanna Macy and Rabbi Arthur Green. Please click on the books below for a preview of the books and to purchase. Our thanks to Ellen Bernstein, birth-mother of the Jewish environmental movement. 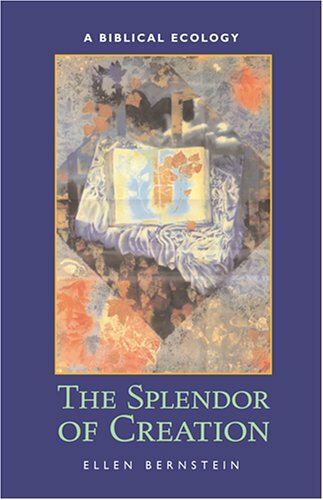 . . Bernstein seamlessly weaves together Genesis and contemporary environmental awareness, forming a union in which each of these turns out to be the deeper meaning of the other. 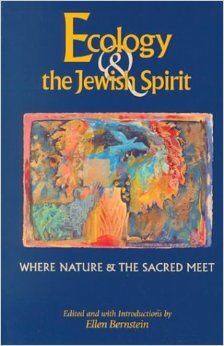 This timely collection, bringing out the ecological soul of Judaism, is a cause for celebration. Its many refreshing voices call Jewish spirituality to reawaken to its own glad reverence for Earth. This book will train a whole generation of Jews to see the world—and their own tradition—through new eyes. Its authors deserve our profound thanks.